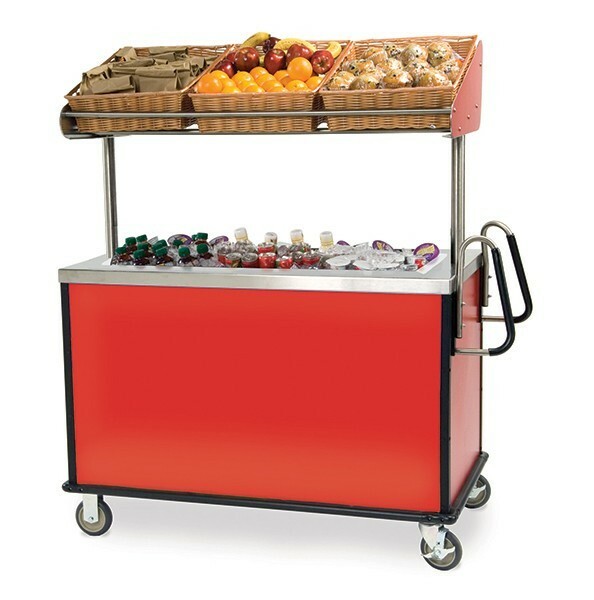 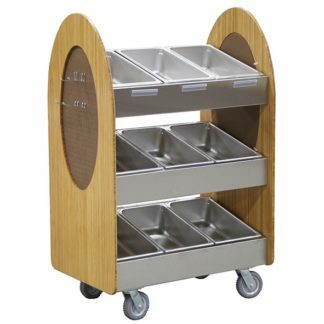 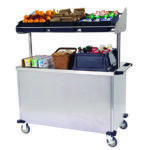 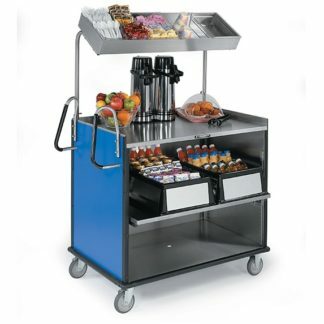 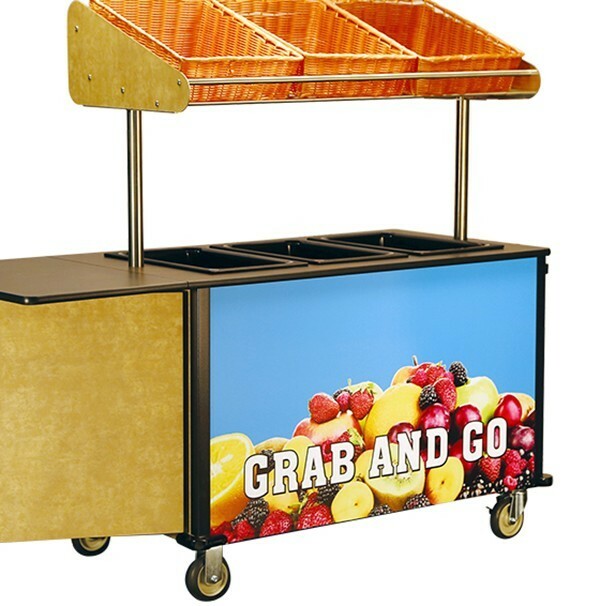 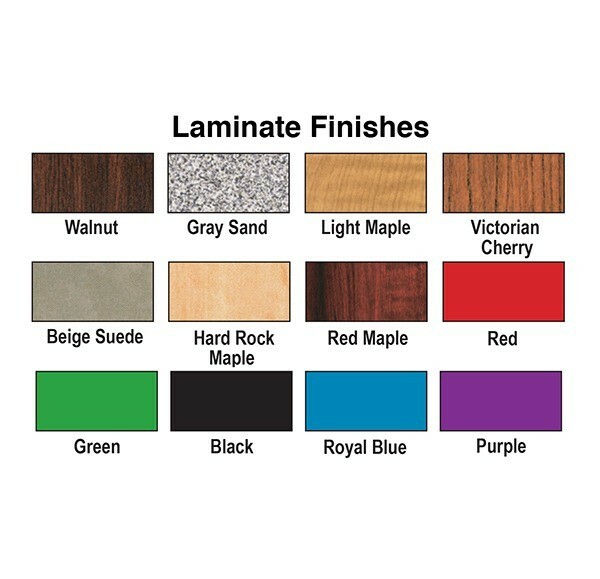 Provide nutritious meals and snack items with these mobile units that roll to where the action is. 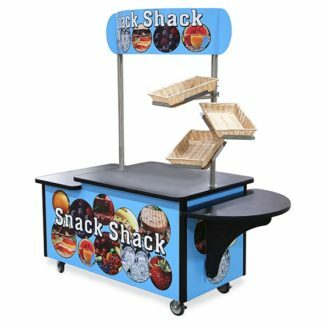 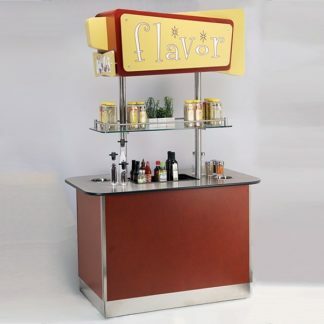 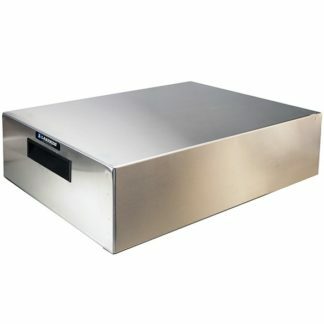 Snack kiosks are available in durable all-welded stainless steel construction with choice of exterior finishes. 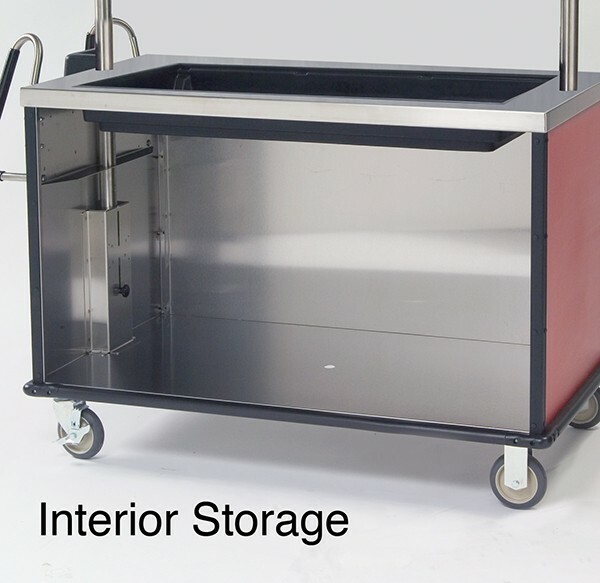 Spacious interior compartment stores additional food and beverages for convenient resupply. 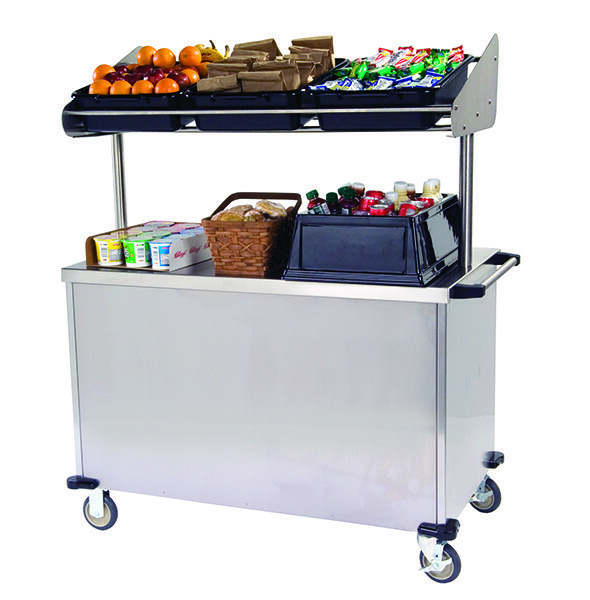 Overhead baskets or bins allow for additional grab and go access.